WordPress Customization – Secret to Pro Blog Website Design! There are a trillion WordPress websites out there! Yes, I said a trillion. Meaning lots! Mucho grande. With those trillion WP sites out there comes the desire by the owners to customize those sites. As most of you know, there are tons of ways to do WordPress customization. Methods available are both free and paid and range anywhere from themes to professional WordPress customization services. However, let me start by saying I don’t like or recommend free WordPress themes unless they are in the wordpress.org system. Apart from the spam and hidden code that’s often found in these free themes (stuff that can potentially mess up your site) you simply don’t have the kind of control that you really need over your site. I believe that when it comes to good things, it’s absolutely worth your while paying for them. WordPress Customization – My secret to pro website design! Now, I speak to you by experience. I’m not coming up with junk here that I can’t prove. I’m basing what I write here on my own experience customizing this website. What do I use to get this site looking and working as great as it does? The answer is: Thesis WordPress Theme from DIYthemes. When I want quality (always), free goes out the window. With the exception of WordPress itself, I just don’t find that free and quality go together well in the same sentence. That’s why I use Thesis. 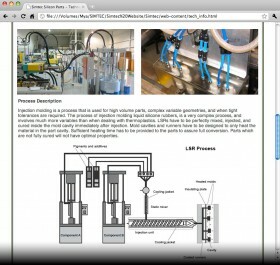 With Thesis I get the ultimate control over my website. I can design it however I want. I can add features and functionality that others can only dream of when they butcher their websites with a free theme. And it’s not just dannycruz.com! I run a number of other sites as well and all but one of them is running WordPress with Thesis. When you run a quality theme like Thesis on your WordPress blog or website you also get access to world-class support and a community of web developers that is also kind and eager to help. In fact, that’s one of my favorite features when it comes to being a Thesis developer. When I post a question on the WordPress.org forum I NEVER get a proper answer. In fact, I don’t remember a single time I’ve been able to get help from somebody on the WordPress.org forum. However, when I have a question and I post it up on the Thesis forum, I usually get a useful answer within a few minutes to an hour. Additionally, since the forum is not crowded with junk and a million unanswered questions, like the WP forum is, I can quickly and easily search through it to find the information I need. Easy addition of a custom header image. Excellent SEO (Search Engine Optimization) control over every page, category, tag and post on my entire website. Complete control over every color and font used throughout my site. Piece of mind knowing there are smart minds updating the software for future WordPress releases. Complete control over all parameters of WordPress blog customization. Take it from me. It works. Don’t waste time with free themes. A very good friend of mine set me straight and put me on the right track by introducing Thesis to me. You’re reading my blog and I truly appreciate. I want to share this with you just like my friend shared it with me. If you want to have complete control over your WordPress site, Thesis is the best way to do it. Click here to learn more about Thesis Theme for WordPress and save yourself a headache. 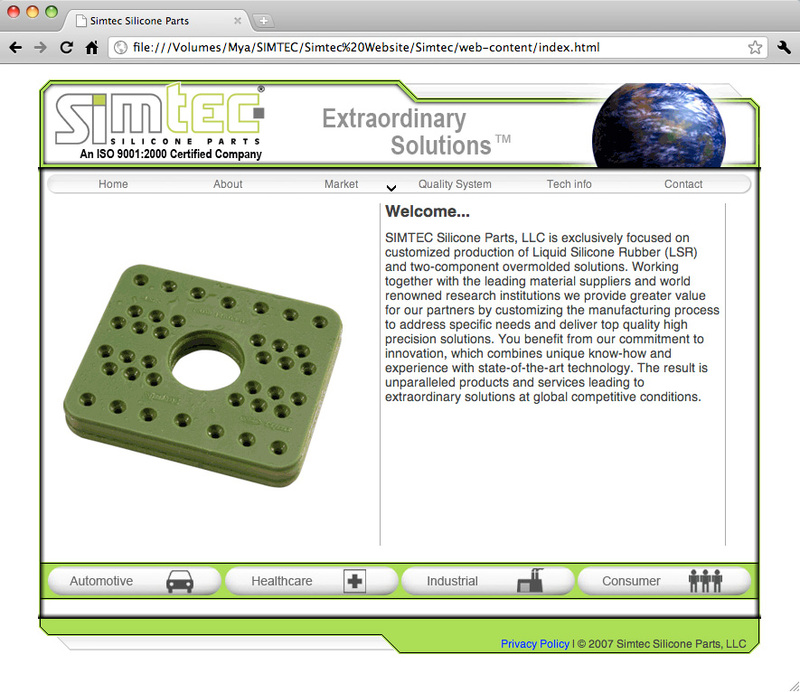 Simtec Silicone, an ISO 9001:2000 certified, Wisconsin based company that specializes in silicone parts for industrial and healthcare applications hired me in early 2007 to redesign their existing wesite. The plan was to use the existing website as a base instead of scrapping the whole thing and starting from scratch. The HTML code was updated to comply with 2007 web standards, a new look was developed and CSS was implemented to stylize the site. Additionally, an array of new images, pages and links where added including a brand new drop-down menu. At the time, the new menu was created in DHTML. I optimized the site for search engines and added a number of other nice features like a Google map for easy location and downloadable PDF certification documents. 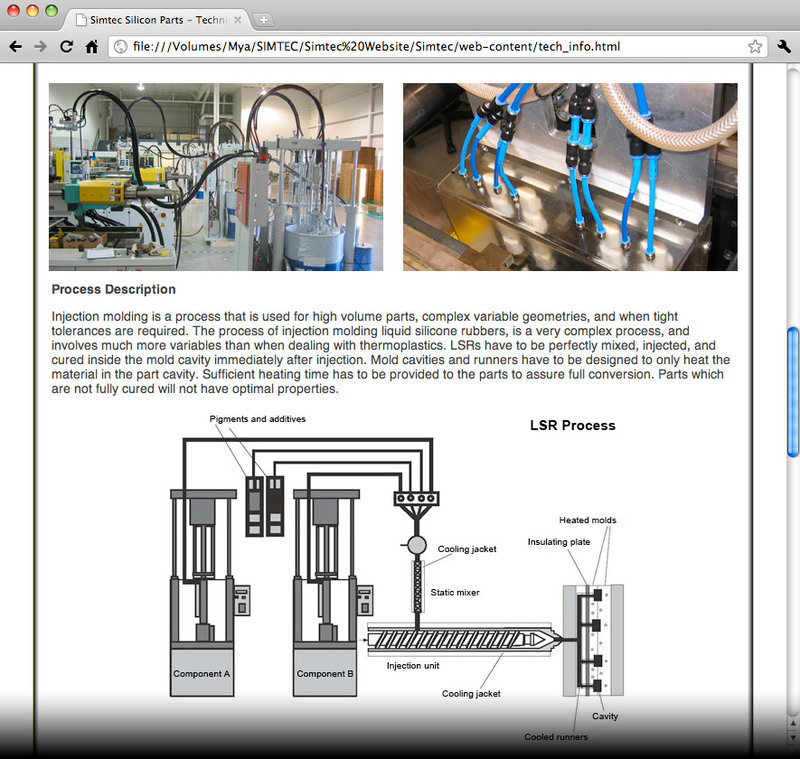 You can’t see it in these screenshots, but both the page header and main image are animated. The animation cycles through a number of their key products in order to showcase some of the company’s capabilities as soon as a visitor lands on the page. In the end, the website looked like a brand new project way ahead of what was there before. You wouldn’t even think it was the original site, revamped. The client was very pleased and that lead to a phase 2 addition to the site a few months later. Great company to work with.